Karl’s Amazing Baits Big Boy catches big fish. A true power fishing bait, this squarebill crank is designed to bounce, boink, dink, and doink of the nastiest cover and habitat bass call home. A great bait for targeting shallow stained water, Karl’s Big Boy pushes water and bends rods the second it gets wet. Pro Tips: Squarebills help for baits to deflect off of cover better than their rounded counterparts. The Big Boy is a larger profile squarebill to help get big bites. 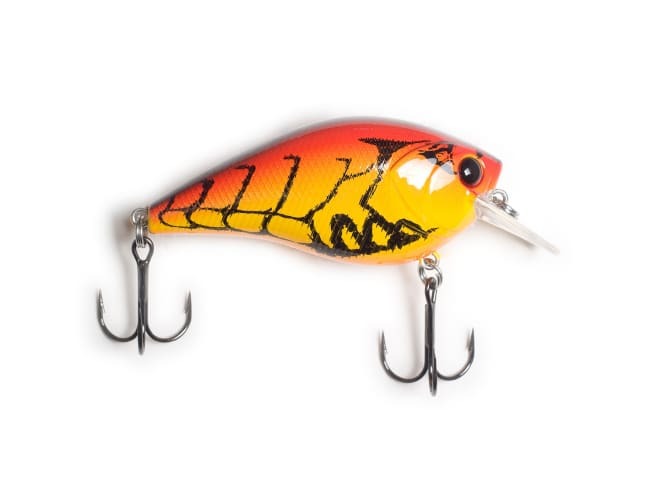 Fish this the same way as other squarebill baits by getting it up into shallow cover. Don’t be afraid to throw this near laydowns or along rocks to get to those bass hiding up in the shallow water.